Together Against the Weather strategies emphasize partnering with community organizations, service agencies, family members and other trusted support systems to motivate hurricane preparation among access and functional support needs populations. The goal is to utilize existing relationships and one-on-one interactions to spur action and overcome overwhelming feelings associated with preparation. The following practices are best for engaging and building relationships with the support systems for populations with access and functional support needs. Although the government, in general, is not typically ranked as a highly trusted entity, local authorities, and fire fighters in particular, are considered valuable influencers. Whenever possible, Together Against the Weather information should be delivered by a local representative and labeled with local contact information. Conduct Town Hall meetings specific to issues of persons with special needs that partner local emergency management authorities with local organizations serving targeted populations and leadership within that population’s community. Customize Together Against the Weather materials with local contact information in space provided for trusted agency’s logo, contact information and messaging. Utilize local CERT teams, Super Neighborhoods, Chambers of Commerce and Homeowners Associations to assist in distributing Together Against the Weather flyers, posters, magnets and other materials to neighborhoods and residents. Provide a Together Against the Weather motivational questionnaire to support systems of persons with special needs (including family members, service agencies, medical personnel and other identified origins of trust) to help identify areas of need and steps for preparation. Utilize Together Against the Weather video programs that break preparation information into incremental messages with examples and clear explanations for planning and preparation. Form partnerships with local utilities providers, including water, electricity and gas companies that have direct-mail contact with area residents to include communication materials in their mailings and encourage preparation and evacuation plan development. Encourage caregivers to help persons with special needs keep a daily journal for one week to identify what is needed every day. Then, from that resulting list, begin acquiring extra supplies with each purchase so that the cost of preparing is not as strenuous. Onsite usage of Together Against the Weather video and audio programs and distribution of printed materials, such as the flyer, at check out. Local companies can also print messaging on their plastic and paper bags about hurricane preparation. Many corporations will allow local officials to distribute materials to customers as they enter the stores. These corporations have also provided significant donations in times of a weather crisis. Stores will also set up displays working with service agencies and local officials with the recommended essential items needed for preparation, such as battery operated radios, flashlights, etc. Contact your local newspapers, radio and television stations to partner in educating residents with special needs and their support systems on the need to prepare for hurricanes and to have a plan for potential evacuation. The media can play a critical role in providing consistent messaging and educating local residents. 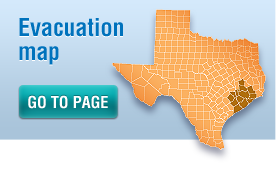 Distribute prepared Together Against the Weather articles on hurricane preparedness and evacuation issues specific to special needs populations for publication in local newspapers, organizational newsletters and magazines. Distribute Together Against the Weather public service announcements for print, radio and television to your local media for year-round messaging. Distribute flyers and posters to all local media for inclusion in publications. 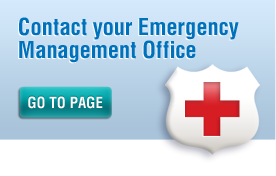 Invite the local media to all hurricane-related events, presentations and programs. 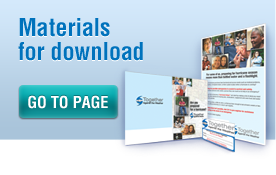 Provide a copy of all Together Against the Weather materials available on this website to local media as a resource for their files and coverage. Announce to the media all local partnerships with social service agencies, religious organizations and other groups specific to special needs populations. Announce Hurricane Season/Program Launch to media with specific information for special needs populations. Prepare a monthly calendar-of-events schedule to distribute to the media to alert them to all presentations and events that provide materials and information specific to special needs populations. Encourage local newspapers, community organizations and other sources of print communications to include the Together Against the Weather motivational questionnaire in their publications.